Twelve years ago, makerspaces weren’t yet in the public library. 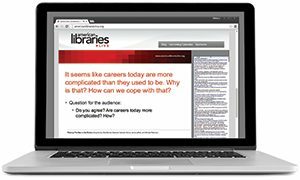 App development and mobile responsiveness weren’t topics librarians—or anyone—had to worry about. And archivists simply didn’t have the Big Data problems we have now. After 12 years, the American Library Association (ALA) returns to Orlando, Florida, for its 2016 Annual Conference and Exhibition, and one could say the city has changed almost as much as our dynamic profession has since 2004. With more than 5,300 restaurants, 100 parks, 120,000 hotel rooms, and one of the fastest population growth rates in the country, Orlando has expanded since ALA last met here. In that spirit, our conference has expanded, too. Annual still features author programs, award presentations, exhibits, and special events, but we’ve only gotten more diverse in our offerings, more enterprising in our education and development, and more inclusive with the initiatives we bring back home to our communities. Additionally, the conference will continue to offer paths to participate in the Libraries Transform campaign, joined already by more than 2,500 libraries. 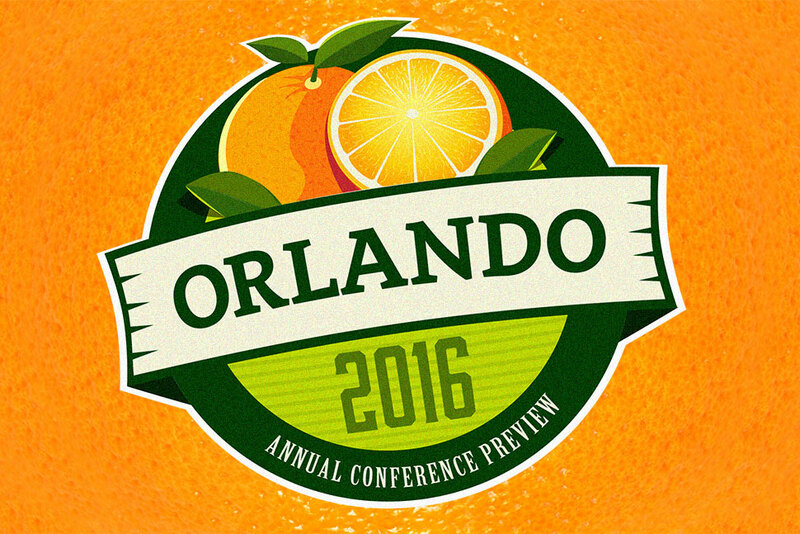 This preview offers a small sample of what to expect at Annual in Orlando. For a complete listing of events, visit the 2016 ALA Annual Conference and Exhibition website. Michael Eric Dyson, one of Essence magazine’s 50 most inspiring African Americans, will kick off the conference as featured speaker at the Opening General Session on Friday, June 24, 4–5:15 p.m. Author of 17 books, New York Times contributor, and MSNBC political analyst, Dyson will comment on contemporary social and intellectual thought, interwoven with cultural criticism, race theory, religion, philosophical reflection, and gender studies, in this event with ALA’s Task Force on Equity, Diversity, and Inclusion. Join ALA President Sari Feldman for the ALA Awards, immediately followed by the ALA President’s Program, on Sunday, June 26, 3:30–5:30 p.m. Feldman’s selected guest speaker is Diane Guerrero, actress and outspoken immigration reform advocate, whose personal story is a reminder of the library’s role in creating opportunity and progress. Guerrero’s memoir, In the Country We Love: My Family Divided (Henry Holt and Co.), was published in May. The Association for Library Service to Children (ALSC) Newbery-Caldecott-Wilder Awards Banquet—a celebration that will honor the authors and illustrators of the Newbery and Caldecott medal-winning and honor books, as well as 2016 Laura Ingalls Wilder Award winner Jerry Pinkney—takes place Sunday, June 26, 6–11 p.m. Preregistration is required and tickets are $94. The 47th Annual Coretta Scott King Book Awards Breakfast, presented by the ALA Ethnic and Multicultural Information Exchange Round Table, is being held Sunday, June 26, 7–9:30 a.m. The breakfast honors 2016’s best African-American authors and illustrators of books for children and youth, as well as the recipient of the Coretta Scott King–Virginia Hamilton Award for Lifetime Achievement. Tickets are $62. US Rep. John Lewis (D-Ga.)—renowned civil rights leader and coauthor of the acclaimed graphic novel series March—will make a special appearance on Saturday, June 25, 9:30–10:30 a.m., in observance of the 50th anniversary of the National Endowment for the Humanities (NEH). Lewis will appear alongside his March cocreators Andrew Aydin and Nate Powell, and NEH Chairman William D. Adams will introduce the event. The Closing General Session will be headlined by award-winning actress and New York Times bestselling children’s book author Jamie Lee Curtis on Tuesday, June 28, 10–11:30 a.m. Curtis will close out the conference after Feldman passes the gavel to 2016–2017 ALA President Julie B. Todaro and introduces new division presidents. The Inaugural Brunch immediately follows the Closing General Session at 11:45 a.m.–2 p.m. and includes food and entertainment. Tickets are $50. These are just a few conference events expected to draw crowds. For more highlights, see our sidebar on the Carnegie Medals for Excellence in Fiction and Nonfiction, and visit the Annual website. Featuring hundreds of exhibiting organizations, multiple pavilions and stages, and popular authors, the exhibit floor is integral to your learning, professional development, and networking at Annual Conference. The official opening ceremony and ribbon cutting immediately follows the Opening General Session on Friday, June 24, at 5:30 p.m., and features a brief welcome by ALA leadership and Orlando dignitaries. The Opening Reception includes food, drink, and entertainment. Friday, June 24, 5:30–7 p.m.
Saturday, June 25, 9 a.m.–5 p.m.
Sunday, June 26, 9 a.m.–5 p.m.
Monday, June 27, 9 a.m.–2 p.m. Individual publishers will host author and illustrator events throughout the conference, including programs at the Book Buzz Theater, What’s Cooking @ ALA Demonstration Stage, PopTop Stage, and the Graphic Novel/Gaming Stage. For a full list of stage schedules, visit the General Exhibits page. Artist Alley includes the best from comic books to games and graphic novels. Diversity Pavilion offers books, products, and services to help libraries meet the needs of their populations and engage with issues of diversity, equality, inclusion, and access. DVD/Video Pavilion showcases recorded materials for libraries of all types. Gaming and Graphic Novel Pavilion links suppliers of educational and recreational games and graphic novels with librarians and industry professionals. Gaming Lounge is where you can explore game resources for your library, engage in open gaming, sit down for demos from game publishers, or explore poster and sharing sessions from other librarians. Government Information Pavilion offers the latest information from featured government agencies. International Pavilion is where you can find multilingual and multicultural publications and library materials. Library School and Instruction Pavilion showcases LIS educational programs. Mobile Applications Pavilion will help you discover mobile apps and technology to manage your library, improve service to patrons, and help readers of all ages. Small Press/Product Area, where independent presses often launch new titles and is a jumping-off point for smaller vendors to introduce themselves to the library community. University Press Pavilion offers a wide variety of academic and trade titles in print and digital formats, and database products. Zine Pavilion showcases zine creators, librarians who manage zine collections, and a display of topical zines that will be raffled off to a library at the close of the exhibits. The ALA Annual Conference Scheduler and mobile app (available in late May) helps you browse sessions, plan and organize your time, create a private or shareable calendar, add and update events and personal appointments, and keep track of exhibitor meetings. ALA works to make sure the conference experience is pleasant and accessible for all. For information on mobility assistance, interpreter services, and other accommodations, visit our Accessibility page. Distinguished poet Billy Collins is the featured speaker at this popular celebratory event, cosponsored by Booklist and RUSA. This year honors Viet Thanh Nguyen, winner of the 2016 Medal for Excellence in Fiction for The Sympathizer, and Sally Mann, winner of the 2016 Medal for Excellence in Nonfiction for Hold Still: A Memoir with Photographs. The winners—who were, for the first time, announced at this past Midwinter Meeting & Exhibits—will receive their medals, offer remarks, and mingle with attendees, publishers, and ALA leaders at a dessert-and-drinks reception following the program. Tickets are $30 ($25 for RUSA members). 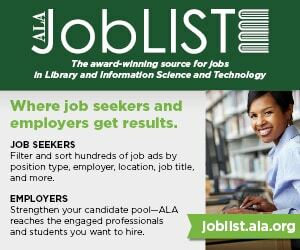 ALA’s JobLIST Placement and Career Development Center is open Saturday, June 25, and Sunday, June 26, 9 a.m.–5 p.m. Conference registration is not required to go to the Placement Center, use its services, or attend any workshop. Employers will be on hand to talk to conference attendees at the free Open House and Job Fair on Sunday, June 26, 10:30 a.m.–noon. Career Counseling with a professional career coach—who can help you strategize, solve problems, and define goals in your current or next career—is available in free 20-minute one-on-one sessions when the Placement Center is open. Photography Service is available for those wishing to have a professional headshot package created. The cost is $20 and can be paid in advance or onsite with cash, money order, or check. Click here for a complete list of the workshops and services that Placement Center is offering. ALA Executive Board Meeting I, 8:30–11:30 a.m.
ALA Budget Analysis and Review Committee, noon–3 p.m.
Finance and Audit Committee, 11 a.m.–1:30 p.m.
Council/Executive Board/Membership Information Session, 3–4:30 p.m.
ALA Membership Meeting, 4:30–5:30 p.m.
ALA Council I, 8:30–11 a.m.
ALA Planning and Budget Assembly, 1–2:30 p.m.
ALA Council II, 8:30–11:30 a.m.
ALA Executive Board II, 1–4:30 p.m.
ALA Council III, 7:45–9:45 a.m.
ALA Executive Board III, 2–4:30 p.m. The series welcomes Margaret Atwood, award-winning author of more than 40 books of fiction, poetry, children’s literature, and critical essays—including The Handmaid’s Tale and Booker Prize–winning The Blind Assassin—and vice president of PEN International. Atwood’s forthcoming book, Hag-Seed (Hogarth, October), a modern retelling of The Tempest, is part of a Shakespeare project that sees The Bard’s works retold by acclaimed and bestselling novelists of today. Maya Penn, teen entrepreneur and activist whose TEDWomen talk has been viewed more than 1 million times, will share her journey and a creative blueprint for teens and young adults, along with the tools she has used to build an authentic, exciting, successful, and connected life. Penn is an award-winning philanthropist, girls’ rights advocate, artist, coder, writer, and the CEO of Maya’s Ideas, a company she started when she was 8 years old. Brad Meltzer—Honorary Chair of ALA’s Preservation Week 2016 and bestselling author of nonfiction, suspense, children’s books, and comic books—will speak to the core belief that runs through each of his projects: Ordinary people change the world. Meltzer is one of The Hollywood Reporter’s 25 most powerful authors and hosts the History Channel shows Brad Meltzer’s Decoded and Brad Meltzer’s Lost History. His illustrated children’s books on Lucille Ball and Helen Keller were released last year. Jazz Jennings is one of the most recognizable activists for transgender teens, children, and adults, and one of the youngest in the national discussion about gender identity. With the support of her parents, Jennings transitioned to life as a girl at age 5 and was part of a groundbreaking Barbara Walters interview at a time when the public was less knowledgeable and accepting of the transgender community. In her forthcoming memoir, Being Jazz: My Life as a (Transgender) Teen (Crown Books for Young Readers, June), Jennings shares the challenges, bullying, discrimination, and rejection she’s faced, and reflects on her public experiences and how they have helped shape mainstream attitudes. Actress, author, talk show host, activist, and philanthropist Holly Robinson Peete—along with her 18-year-old twins Ryan Elizabeth and RJ—will explore the funny, painful, and unexpected aspects of teen autism. Robinson Peete is coauthor of the young adult novel Same but Different: Teen Life on the Autism Express (Scholastic Press, February), which presents the challenges and triumphs of being a teen living with autism and the effects on family, school, friends, and life. United for Libraries President Ed McBride welcomes author John Hart to his program. 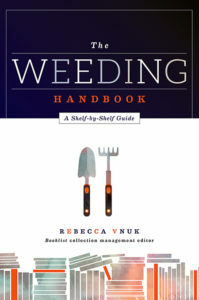 Hart will be interviewed on stage by Barbara Hoffert, editor of Library Journal’s Prepub Alert. Hart has written four New York Times bestsellers—The King of Lies, Down River, The Last Child, and Iron House—and has received two Edgar Allen Poe Awards, a Barry Award, and the Ian Fleming Steel Dagger Award. Hart will sign books following the program. Association of College and Research Libraries President Ann Campion Riley welcomes Sara Bowman (project manager at Center for Open Science), Yasmeen Shorish (scholarly communication and data services coordinator at James Madison University), and Kristin Partlo (reference and instruction librarian for social science and data at Carleton College), who will present on how to use, create, and manage data in higher education. Speakers will address how to coordinate communication and collaboration efforts externally and across units, and help academic libraries of various sizes to tailor data services to meet institutional priorities. William Ury, coauthor of the bestselling Getting to Yes and author of the recently released Getting to Yes with Yourself: And Other Worthy Opponents, headlines Library Leadership and Management Association President Jeff Steely’s program. Ury’s 2010 TED talk, “The Walk from ‘No’ to ‘Yes,’” has been viewed more than 1.4 million times. American Association of School Librarians President Leslie Preddy welcomes award-winning author Avi, who will speak about his work and connection to readers and librarians. Avi, who started his career as a playwright and worked for many years as a librarian at New York Public Library, has published more than 70 books spanning different age levels and genres. He won the 2003 Newbery Medal for Crispin: The Cross of Lead, as well as two Newbery Honors, two Boston Globe–Horn Book Awards, and a Scott O’Dell Award. Reference and User Services Association (RUSA) President Anne M. Houston presents “Be Our Guest: Creating Immersive Guest Experiences in Libraries,” featuring keynote speaker Dave Cobb, vice president for creative development of the Thinkwell Group. Cobb, an expert on designing immersive educational experiences for museums and theme parks, will talk about how libraries can tell stories with space and create emotional resonance with users, drawing on examples from the library world as well as local Orlando theme parks. Library and Information Technology Association President Thomas Dowling brings Safiya Noble, assistant professor in the Department of Information Studies at UCLA, to his program. “Toward an Ethic of Social Justice in Information,” cosponsored by the Office for Diversity, Literacy, and Outreach Services and the Black Caucus of the ALA, addresses a rapidly shifting information landscape at the convergence of increasing investment in digital technologies and increased surveillance and lack of privacy. Noble’s research examines a link to power struggles over representation on the web and the consequences of marginalization and misrepresentation across commercial information platforms like Google. Rhonda Gould, president of the Association of Specialized and Cooperative Library Agencies, invites five librarians who implemented accessibility policies in academic and public libraries to offer insights on how to make physical, programmatic, and online presences more accessible to people with disabilities. Speakers include Sandy Cohen from Nashville (Tenn.) Public Library, Chris Corrigan from Library of Congress, Marti Goddard from San Francisco Public Library, Lily Sacharow from Berkeley College in New York City, and Deborah Tenofsky from the University of Cincinnati Libraries. Young Adult Library Services Association (YALSA) President Candice Mack’s year-long initiative, “3-2-1 Impact! Inclusive and Impactful Teen Services,” focuses on the need for libraries to evolve in order to effectively serve today’s teens and how outreach has become increasingly important in connecting with teens who may not realize inclusive programming can meet their needs. This interactive session will present a wide range of programs serving today’s teens and strategies to take back to your own library. Association for Library Collections and Technical Services (ALCTS) President Norm Medeiros hosts Michael R. Nelson, who works on internet-related global public policy issues for CloudFlare and is an adjunct professor of internet studies at Georgetown University. Nelson will address how open standards, free flow of information, transparency, and empowering users can benefit people globally. ALSC President Andrew Medlar presents a program that focuses on the transformative services centered around space that libraries provide children, inspired by Orlando’s theme parks. The program features a keynote presentation from Marty Sklar, former president of Walt Disney Imagineering and the man behind the creative development of Epcot Theme Park. Following Sklar, there will be a panel discussion moderated by American Libraries Associate Editor Phil Morehart on how child development, architecture, and stories work together to create spaces that are vital to children and the communities that support them. The program honors Charlemae Hill Rollins, the first African-American president of ALA’s Children’s Services Division, and includes an interactive show-and-tell from inspiring libraries. Library of the Future sessions, developed with ALA’s Center for the Future of Libraries, explore emerging trends and innovations with experts from a variety of fields and professions. This year’s sessions cover themes such as fast-casual restaurant concepts, fandom, and maker-focused technology in libraries. Sessions show how knowledge of the latest trends and innovations in the larger world inform librarianship and support the tenets of Libraries Transform. In “Think Better: Attention in Education with Steelcase,” Steve Slifka, national architect and design leader for Steelcase Education, will discuss how new research and insights into the neuroscience of attention can assist us in designing spaces that minimize distraction and help students gain and keep focus. Concerned about the future of your physical space but not sure where to start? “The Feasibility Study as a Catalyst for Change,” presented by OPN Architects, will introduce the feasibility study as a catalyst to transform your library into a library of the future. Affinity mapping, decision matrices, and prototyping can be used to discuss new ideas, spark creativity, or rejuvenate existing programs. Join leaders from ALA’s Library Entrepreneurship and Maker Services Member Interest Group in “Top Tools for Changemakers,” to learn more about their favorite tools for change. In “Learning with the Harry Potter Alliance,” see why fandom is such a powerful force, and how for more than a decade, the Harry Potter Alliance has helped libraries and other organizations use fandom and pop culture to spark civic engagement and motivate youth to action. In “Learning with Matthew Broffman and Innovation and the City of Orlando,” attendees can discover how Orlando and Broffman, the city’s director of innovation, use human-centered design to assess the needs of citizens and develop services and policies that are responsive to what residents need. 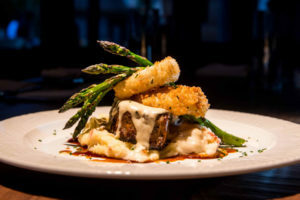 In “Learning with Hyatt Regency Grand Cypress,” see how the hotel’s LakeHouse Restaurant represents the essence of Hyatt’s “food thoughtfully sourced, carefully served” philosophy, leveraging several hallmarks of the fast-casual restaurant trend to create a memorable guest experience that builds a connection with the local destination. The Center for the Future of Libraries has also partnered with Demco to provide two future-focused preconferences. “Pivot or Persevere: Creating a Framework for Successful Innovation” and “Telling Your Library’s Most Compelling Story” are full-day events, on Friday, June 24, 9 a.m.–4 p.m. Tickets to these sessions are $199 for members and $224 for nonmembers. Be sure to check out additional future-focused programming in the Knight Foundation’s “Knight News Challenge Libraries” series. The Michael L. Printz Program and Reception, presented by YALSA and Booklist, welcomes 2016 Printz winner Laura Ruby (for her book Bone Gap) and Printz Honor Book winners Ashley Hope Pérez (for Out of Darkness) and Marcus Sedgwick (for The Ghosts of Heaven). The event features presentations of awards, speeches, and a Q&A preceding the reception. Tickets are $34. Enjoy coffee and meet YALSA’s award-winning authors at the YA Author Coffee Klatch. This informal program offers attendees a chance to interact with authors who have appeared on one of YALSA’s six annual selected lists or have received one of YALSA’s five literary awards. Librarians will sit at tables where new authors will arrive every few minutes to talk about their current projects. Tickets are $25. At United for Libraries’ First Author, First Book, debut authors Nathan Hill, Joe Ide, Stephanie Knipper, Meg Little Reilly, Reba Riley, and Jung Yun will speak about their books and writing experiences in this popular annual author panel. Wine and cheese will be served at The Laugh’s on Us, sponsored by SAGE, headlined by comedian and United for Libraries spokesperson Paula Poundstone. The event also features Dave Barry, Tara Clancy, Phoebe Robinson, and Nora McInerny Purmort, and a book signing will follow. Tickets are $60 in advance ($55 United for Libraries personal members) or $65 onsite. Celebrate the 2016 winners of the Stonewall Book Awards, the oldest awards for the best in gay, lesbian, bisexual, and transgender writing. Sponsored by the GLBT Round Table, the event recognizes winners and honorees in fiction, nonfiction, children’s, and young adult categories. This year the inaugural Newlen-Symons Award for Excellence in Serving the GLBT Community will awarded. Enjoy tea, finger sandwiches, and sweet treats at United for Libraries’ Gala Author Tea sponsored by ReferenceUSA. Featured authors Jayne Entwhistle, Lisa Fenn, Shari Lapena, Susan Mallery, Imbolo Mbue, and Thomas Mullen will discuss their forthcoming books and signings will follow. Tickets are $60 in advance ($55 United for Libraries personal members) or $65 onsite. For more information about ticketed events, visit the Ticketed Events page on the Annual website. Equity, diversity, and inclusion are critical to a strong future for libraries—both in the US and in the more than 40 countries our attendees represent. Check the list of related recommendations from the Committee on Diversity. Attendees looking for insights into the wider world of libraries can find internationally focused programs, poster sessions, meetings, social events, and discussions by searching “international” in the Annual Conference Scheduler. YALSA sponsors “Finding Yourselves on the Shelves: Diversity in Ethnicity and Language for Your Teens,” an open discussion about the importance of teens being able to see themselves not only in the characters of the books but also as the authors. Sponsored by Demco, the annual Diversity and Outreach Fair celebrates library services, programs, and collections to underserved and underrepresented communities. Visit with program leaders, learn details and strategies for success, and consider how they might be replicated in your library community. “Mental Health Challenges in the Library: An Opportunity for Impact,” sponsored by the Public Library Association, will explore the history of users turning to libraries as both a resource and refuge, and provide practical tools for librarians in how to best assist patrons dealing with behavioral health issues. ALA’s Committee on Diversity and the ALCTS Preservation and Reformatting Section Digital Preservation Interest Group cosponsor “#BlackLivesMatter: Documenting a Digital Protest Movement.” The session will explore ways that activists, academics, archivists, and librarians are collecting and providing access to this unfolding grassroots movement. ALA’s Office for Intellectual Freedom and the Committee on Professional Ethics, along with cosponsors the International Relations Round Table and the GLBT Round Table, presents “No Room at the Library: The Ethics of Diversity,” a program designed to foster dialogue about inclusion and ethics in libraries. In support of ALA’s multiyear campaign of Libraries Transform, speaker Loida Garcia-Febo and a panel of thought leaders will facilitate audience discussion after three different skits that address ethical dilemmas involving religious, cultural, and LGBTQ issues. Rich Harwood, founder of the Harwood Institute, and three public libraries that participated in ALA’s Libraries Transforming Communities initiative will show how libraries can engage communities and lead change by “turning outward.” Attendees will discover how bringing people together, asking questions, building partnerships, and taking action leads to positive transformation, and leave the session inspired to tackle community challenges. Learn about the variety of coding and programming available in school and public libraries at “Libraries Ready to Code: Increasing Computer Science Opportunities for Young People.” Sponsored by ALA’s Office for Information Technology Policy (OITP), panelists will discuss a unique library perspective on successful learning models and how to reach underrepresented groups in STEM fields. Join Debra Fine—trainer, networker, and author of The Fine Art of Small Talk—for the PR Forum, to learn how to turn every interaction into an opportunity for a successful library relationship. Nancy Dowd, Public Awareness Committee chair, will moderate. Join Khaliah Barnes, associate director of the Electronic Privacy Information Center, in “Student Privacy: The Big Picture on Big Data,” for an informative look at why schools are increasingly adopting vendor-based data services that require transfer of student data to third-party providers, and how evolving state and federal data privacy laws impact school and academic libraries. In “The People’s Incubator: Libraries’ Contributions to Entrepreneurship,” see how libraries provide assistance at every stage of launching and operating a new venture, from writing a business plan to raising capital to managing workflow. This session, sponsored by OITP, features a panel that will discuss the ways in which libraries can make a greater impact on the innovation economy. In addition to highlighted programs, be sure to check out informal and peer-to-peer learning opportunities Ignite Sessions, Conversation Starters, Kitchen Table Conversations, Unconference, Library Camp, and more.